If you haven't looked into diesel engines lately, you may be interested in today's post. Why should you care about modern diesel engines? Fuel efficiency, for starters. Because diesel fuel has a higher compression rate than gasoline, it generates more power per barrel. This is especially advantageous for drivers who pull heavy loads with powerful trucks that are always thirsty. There are still many misconceptions about diesel powered vehicles. Let's debunk some of the myths. Diesel engines require parts that are heavier and stronger. At Grimes Auto Service, we occasionally service diesel cars and trucks with over 300,000 miles/500,000 kilometers. The heavy-duty parts make diesel vehicles a little more expensive new, but due to the extra burliness, diesel engines last a lot longer. This is one of the reasons Cummins diesels inspire such a loyal following. What about the drawbacks? Cold weather starting is one. Diesel engines can be hard to fire up when the temperature drops. However, an engine block heater can solve this problem. Talk to your friendly and knowledgeable pros at Grimes Auto Service for more . If you are in the market for a new vehicle that's easy on fuel, you might want to explore your diesel options. 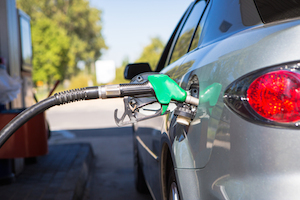 You may even qualify for a tax credit if you buy a clean diesel vehicle. Of course, diesels require regular maintenance like any other vehicle and the services are usually a little more costly due to the nature of the engines. But the extra cost is offset by the better fuel economy and longer engine life. Bottom line? Today's diesel is not your grandfather's diesel.